Have a portion of a Canvas that needs sharing without everything else? In OmniGraffle, it’s easy to quickly share a PDF of only a few of your document’s objects. Use the Selection Tool to highlight exactly what you want, then bring up the Context menu by tapping on one of the selected objects. Tap Copy, and then paste the resulting PDF in the app of your choice! 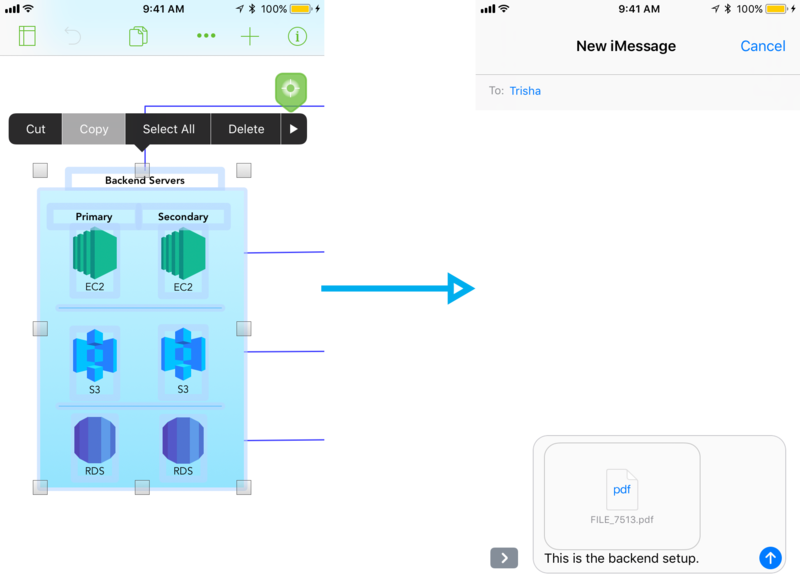 It even works with iCloud Copy and Paste across your devices: Copy in OmniGraffle 3 for iOS, then paste into a document on your Mac!